Flamingos Dance has been offering ballet classes for boys and girls in the High Barnet area since 2010. A small and friendly dance academy we specialise in providing a fun introduction to dance and movement for young children from three years of age, with progression through the Royal Academy of Dance junior ballet grade syllabus. Students of all abilities are encouraged taught in a caring, inclusive and professional environment. We hold a small ballet recital approximately every other year in a local theatre space for which all students are encouraged to take part. This is more of an extension of the student’s class work rather than a big stage production, enabling children to have the opportunity to perform for friends and family in a non intimidating setting. 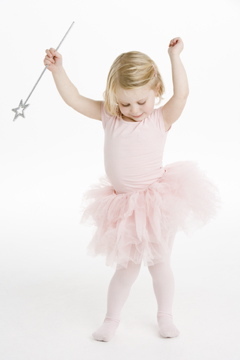 Ballet tuition benefits children’s physical, cognitive and social development in many ways. Physical exercise promotes fitness, increases flexibility, enhances motor skills, builds strength and stamina and improves posture. The musical, rhythmic and technical elements improve children’s overall concentration whilst interaction in group activity develops social skills. Ballet classes promote artistic expression and cultural appreciation and taking part in examinations and/or performances involves facing fears and meeting challenges which heightens determination and boosts confidence. Our aim is to provide an inspiring and supportive environment for all who wish to experience the beauty of ballet and joy of dance. Please note that many of the classes operate a waiting list. If you are interested in a free trial class, please contact Meri for current availability or to put your child's name on the waiting list. There is no charge to be put on the waiting list nor any obligation to take a place following your free trial session. from 3 years FREE TRIAL LESSON! Term fees can be paid by at class, by bank transfer or by clicking the link above. We have a waiting list for some classes so please only pay for the classes if you have been in touch and offered a place. Pre-School Dance classes are a fun introduction to dance using lots of props to engage the children. We play ballet games, and use mime and improvisation, as well as teaching the very basics of ballet practice. Pre-Primary Ballet is for those ready to move on to a more structured ballet class - usually those who have just started school. We still have lots of fun and games but we now concentrate on teaching the basic positions of arms and feet, and follow the traditional exercises to train young bodies in the classical technique. Primary ballet is for children who have established good concentration and understand the basic ballet positions and vocabulary. 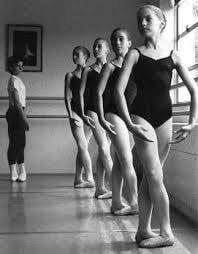 When the students are ready, they will be prepared for optional Royal Academy of Dance Primary Ballet Examination or Class Award. Students develop technical skills and learn set routines and choreography. Focus is still very much on enjoyment of movement and interaction with other students. Grade 1 is the next level for those wanting to build upon the basic classical training. This is usually from around 7 years of age depending upon the child's ability, concentration and desire. We follow the Royal Academy of Dance Grade 1 syllabus including the character dance element. The class has a more structured framework including small enchaînements, group choreography and character work. Children who wish to prepare for examinations are encouraged to attend twice weekly and all may take part in small, local performance opportunities. By this stage, children will have learnt the basic ballet positions and terminology and are working upon understanding and improving technique. As always, emphasis is placed upon expression of dance and music. Most children at this level have enough confidence to perform solo pieces as well as group choreography. We follow the RAD Grade curriculum including the character element. Children who wish to prepare for examinations will need to attend twice weekly and all are encouraged to take part in small, local performance opportunities. The last class of term is an open class where parents, carers and families are invited to watch the class and view their child’s progress. We do occasionally allow family members to watch class at other times of the year if for a special event such as rare grandparent visit. NB The safety of our students is paramount so we politely request that no photographs or videos taken during watch week or performances are uploaded to the internet. Students have the opportunity to enter Royal Academy of Dance (RAD) examinations. RAD examinations are internationally recognised and within the UK are accredited by the The Regulated Qualifications Framework (RQF). The RQF provides a single, simple system for cataloguing all regulated qualifications, indexing qualifications by their level (degree of difficulty) and size (amount or breadth of learning). One credit corresponds to 10 hours of learning for the typical learner. RAD Grade 1 ballet examination is valued at 7 points which means 70 hours of tuition is generally required to meet the requirements. From Grade 6 onwards, RAD examinations are also allocated UCAS points. The standards required to pass are very high so in order to learn the whole syllabus including dances, those who wish to enter will need to increase attendance to twice weekly one hour classes for the last two terms leading up to the examination. In addition to the extra weekly class, there will be other expenses such as examination fees (currently £51 for Grade 1) & regulation uniform. Entry to examinations is optional - not compulsory. If you choose to participate, please bear in mind that entry does incur extra expense in regard to entry fee, uniform and extra tuition required to ensure your child is well prepared. You will be notified if we feel your child is ready to enter an examination when the breakdown of what is required will be detailed.